students. Others felt that teachers are punished if they speak out when things have happened in the past at Lumberton schools. way for everyone to see and come up with your own conclusions. ....Here is where I need you to pay attention! Glad I had a stop button!! I hear a lot of lies coming from this mans mouth! Condoned by the school board! Shame on you! He makes it seems as if the parent never went thru the proper channels. Picture taken on 2/1/13, calls to the principal on 2/4/13 which were never returned, email sent on 2/8/13, received a response but did not answer concerns expressed. Parents immediately contacted news stories that were reporting the girls were forced to wear burqas to inform that the girls were NOT forced to wear them. Thee week of 2/25/13 was back and forth from parent to school. Not once did this man appear nor was his services offered to the parents. One of the parents I know contacted Valastros office but spoke with Vice Super., around 15:30 of the video Valastro talks about approaching and speaking with other parents yet he never speak with the parents involved in the situation? He "apologizes" to the parents for the way this was handled but never takes any responsibility for his part in it. He pulls an Obama and blames everyone else from the parents to the state. He also makes it sound as if this is the only curriculum/tool they can use since they can't afford to write their own like Kline school district. From what I understand they have other options, there are several curriculum/tools they can purchase but CSCOPE is the cheapest or next to the cheapest. I won't even go into the different information parents would get when inquiring about the same issues and the bullying. At least he is on record admitting the situations was mishandled........never know.....that may come in handy! It seems to me he disavowed (almost) all responsibility being laid at the feet of CSCOPE or even his administration. The public hearing should be interesting. 1: look for wasteful and unnecessary spending and eliminate it. 2: See how many administrative positions I could eliminate. 3: Ask the community for any volunteers who can perform tasks for free to make my budget go farther. 4: Eliminate non-academic activities that require large amounts of resources like football, and baseball, and turn those into 'club' sports that are funded by those who participate in them. 5: If I was not able to do the job with the resources provided, I would resign so as to give someone else the opportunity to do the job with the resources the citizens chose to allocate for the job. I sat in the front row and was not surprised to see Valastro blame everyone but himself on this issue. 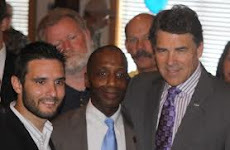 He is very arrogant and Liberal, almost Obamalike, is this what we need in Lumberton? NO! It's time for a change. I emailed him a week before this meeting his reply was to call the citizens that were concerned about this CSCOPE, were Fear mongers! Well as a tax payer I say, we deserve better than this. He said he moved here 10 yrs ago, was there a adgenda to moving here? Maybe to spread this Liberalism to our children and strip them of thier Christian beliefs? Its sure starting to look like that and it has happened all over our country, so what makes Lumberton immune? The Communist movement that is sweeping all over our country already has the big cities, its the small towns, where people still hold on to thier faith and families, that the Liberals have to attack. Its fighting hard in Hardin Co. look at the Cheerleaders in Kountze? จีคลับ Online Betting Sites, Betting Systems, Online Betting Sites In order for you to gamble every player has to use the service of investing online games at any time. We also have a lot of online gambling games. Every gamer has come to the service of betting on online gambling games as easily as possible. In addition, we also offer a variety of online betting services. You are a gambler, every gamer can choose to use the service on the game online and a lot of it.